I am a soup fiend. I could probably eat good soup every day. 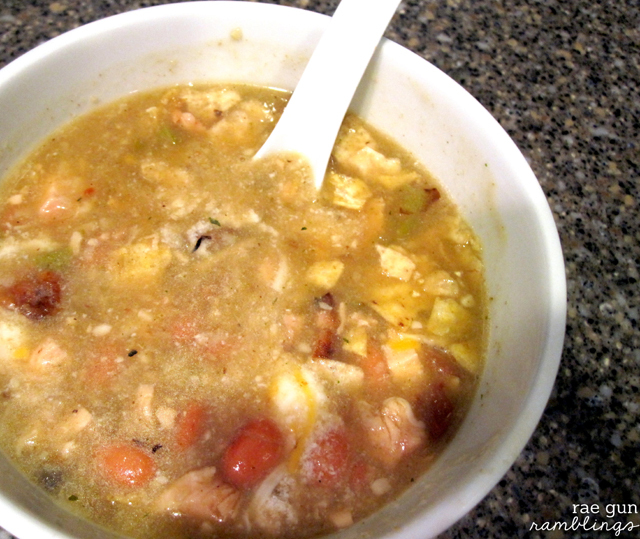 This white chili recipe is one that I adapted from a recipe my friend Heidi gave me. 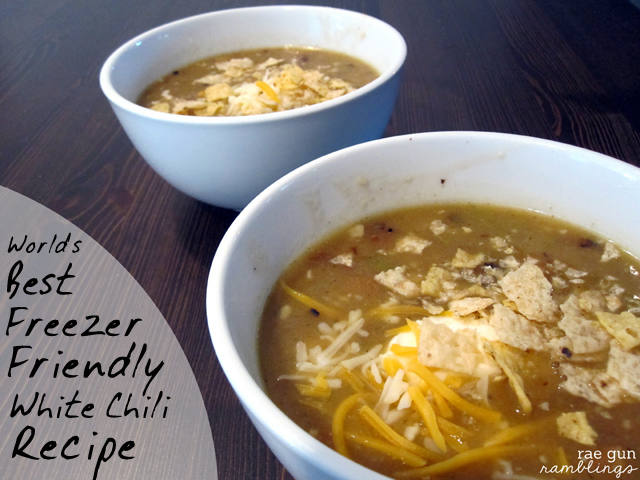 It’s perfect comfort food, comes together super fast and freezes like a gem. 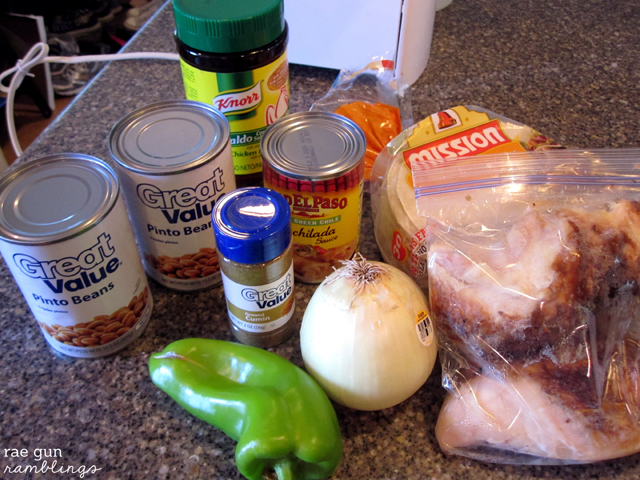 In large pot saute garlic, seeded and chopped chile pepper, onion and chopped chicken. Add cumin, beans and broth. Chop tortillas into small pieces and add. Add salsa. Bring to a boil and then simmer until heated through and tortilla has broken down. Top with cilantro, crushed tortilla chips, sour cream and grated cheese if desired. Serve with my favorite 3 ingredient cornbread and you’ve got a delicious filling meal. So easy and it freezes really well.